Real Escapes Properties is proud to offer this adorable cottage located in Kings Terrace neighborhood. 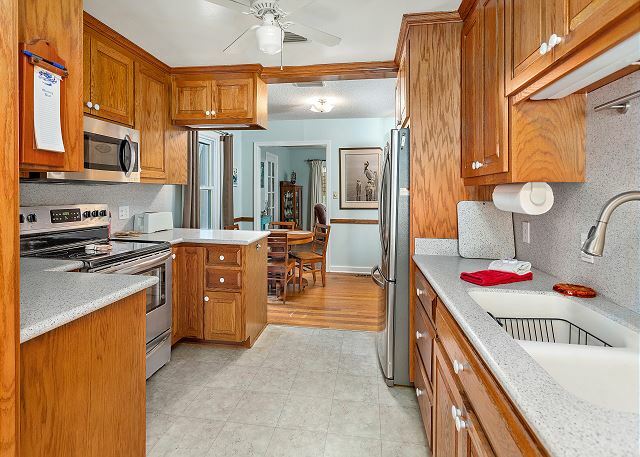 The house places you just a short distance from the St. Simons Village Area and Pier. 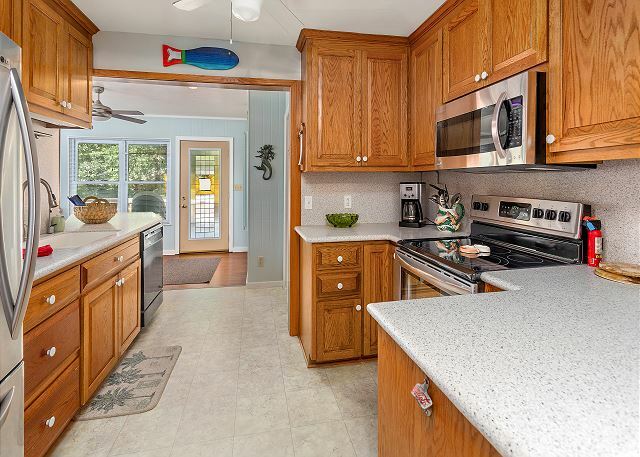 It is quaint and comfortable and exactly what you need to enjoy Island Time! The first bedroom has a queen bed and a ceiling fan. 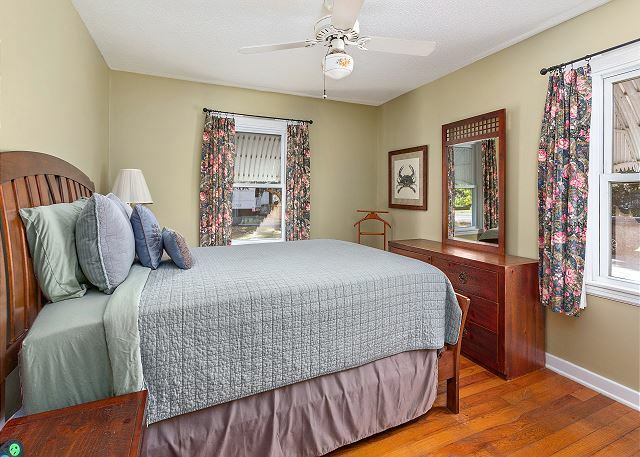 The second bedroom also has a queen bed and a ceiling fan. The updated bathroom if located off the hall between the two bedrooms and features a nice walk in shower with a bench. You can enjoy relaxing in either of the 2 separate living rooms. 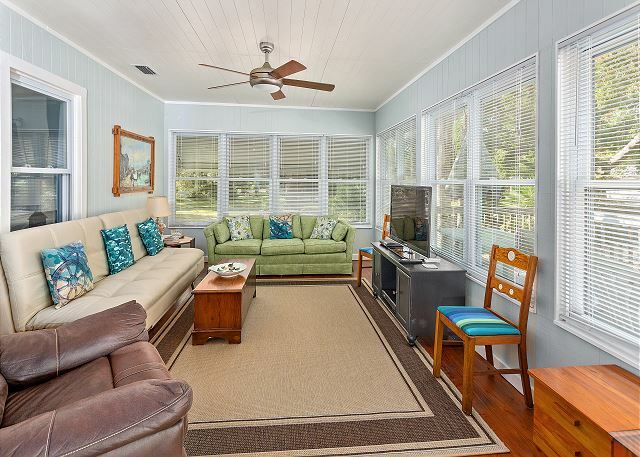 The smaller living room towards the front of the house has ample seating and a 32" flat screen TV and ceiling fan. The larger living room/sun room off the kitchen has a 42" TV, ceiling fan and a futon. We spent two months at Bertie's Nest and really enjoyed the home. 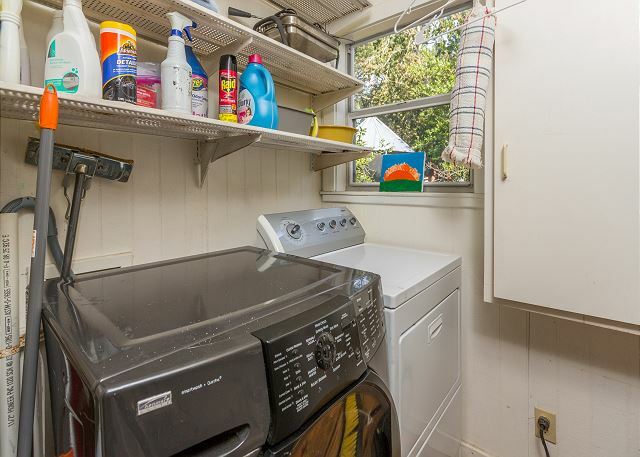 It is well-equipped including the kitchen and decorated nicely. Guests who visited us during our stay unanimously praised this rental home. The home has nice thoughtful touches for renters (we have rented many places over the years): towel racks on the back of bedroom doors, lots of hooks to hang things, two lazy boy type chairs for sitting and watching TV comfort, a charcoal grill with starter that had our coals ready to cook in 10 minutes, a built-in water filter in the kitchen, storage shelves in the laundry room and plenty of closet space. We loved this pet friendly rental. 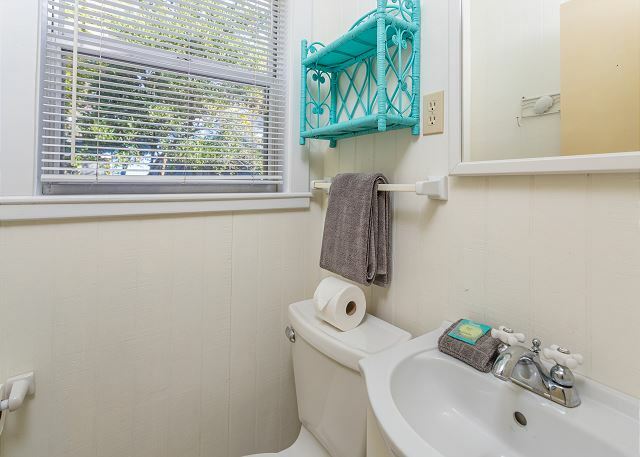 Convenient to beach, restaurants and town. It was extremely clean and was equipped with everything we needed. It was a beautiful house in a wonderful neighborhood. Everyone was so friendly. The house was walking distance to the beach which made the evenings wonderful. Highly recommend!